Walkerville Brewery has released The Walkerville Milk Stout, a decadent and delicious winter offering. Silky sweet notes greet the palette and roll off into a subtle dark chocolate finish. A soft roasted note should linger as the beer finishes dry. 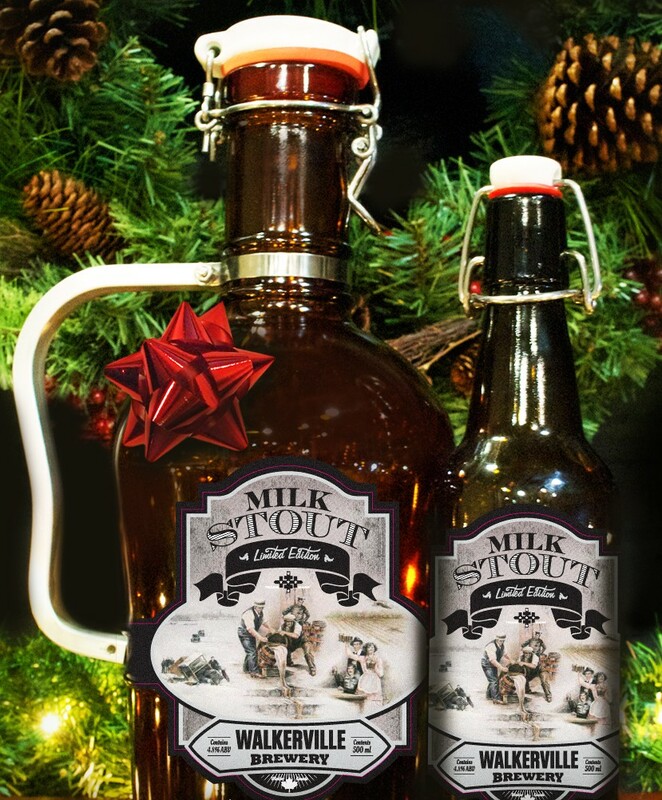 While our Milk Stout is rich and robust it is medium bodied and easy drinking. Share a glass with dinner/dessert or relaxing by the fire. 4.8%abv and 32 IBUs. The first stout by Walkerville Brewery, it is now available on tap at the brewery. Please note: The Milk Stout is not available in growlers or stubbies at this time. It will only be available in the limited edition 2L Growler and limited edition 500ml flip-top bottles and on tap at the brewery. Walkerville Brewery has commissioned acclaimed Walkerville artist, Julia Conlon, to capture the prohibition years for their second limited edition Holiday label titled, ‘Prohibition Years’. Walkerville Brewery is proud to feature local artists (Motor Marc Lacourciere in 2012, first edition: Pre-Prohibition) on our labels for our holiday season packaging. “Having Julia in the neighbourhood makes this very special and recreating the prohibition years through her strokes of the brush makes it even more significant by capturing Walkerville’s past while applauding its future.” says Chris Ryan of Walkerville Brewery. They will be available throughout the month of December and the brewery is now taking pre-purchase orders for the limited edition growlers.